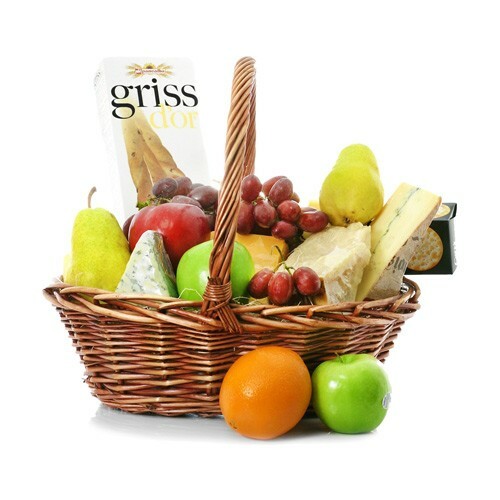 The ultimate gift basket for any cheese lover! We use a variety of delicious cheese representing Italy, France, Spain and England hand-picked from our vast cheese department surrounded by an assortment of crackers and fresh fruit in season. Occasionally substitutions of equal value must be made but the theme of the basket is always consistent.